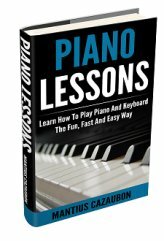 I realize I bought a lower end keyboard and it will not do everything but I would like to play one voice with the right hand and different voice with the left. I don't see anything in the manual about that. I'd also like to layer voices like play piano with strings over it. Any ideas? Is this possible. Thanks. Comments for Yamaha PSR-E223 Can I split the voice on the keyboard? Split point only changes the point where accompanying chords activate. Como eu faço para dividir som no tecado yamaha psr-E243 um som na mão esquerda outro som na mão direita o que eu faço ?? No. 5. Press Button (Waiting). No. 6. Press button (voice) and select the voice of the right hand. No. 7. Hold the buttons (L part R) together and now play the piano . I have a Yamaha PSR-E243 I can not split the voice from left to right. Please help. before choosing voice by holding voice button,you must select one of songs..for example choose song no 60.. then try as i explained .. It is possible two split and choose different left and right hand voice..
you can use split.and choose different voices for left and right hand..
first you press voice button and select a voice,then you hold voice button and select same voice again (that will be your left hand voice),then you press "waiting" button,then you hold "l" and "r" button for a second or two,then you press listen and learn,and then pause..you will have selected voice on left side,and the just press voice and select right hand voice. My persistent trail and error on yamaha psr223E has aimed me a success and now I can split or play two voices of my choice one at my right and another at my left hand side. THIS IS HOW IT WORKS. (2}Press demo botton twice( 1st touch is for demo song while the 2nd touch is for SPLIT CONTROL). (3}choose any voice you wish(eg. No.18=Progress...) but this No.3 is not neccessary asuch. (4}look at top left side of the keyboard near Wait key/botton, very close to sign signal botton and tempo botton you will see two close bottons called LEFT/RIGHT botton (L/R), then press and hold the two(L/R) botton for 3 to 4 seconds. (5}look at the LCD/Screen immediately and you will see "BOTHHANDS" appeared on LCD. This is a comfermation that all the above steps was followed if not, go back and start again. (6}press voice botton and hold for 5 to 7 seconds. (7}Look on the LCD/Screen and you will see "SOUNDVOICE" appeared on the LCD/Screen. This is the final stage. 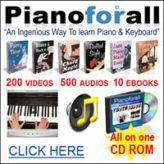 (8}Pls go to the voice and choose the one you like for your right-hand while the Left side keys(52) will be playing the initial voice you selected. THIS IS VERY SIMPLE and SHORT. Now your yamaha PSR223E plays DUAL voice, goodluck and God bless you. HEI GUYS THIS IS UNFAIR BECAUSE WHEN I LOOK AT MY KEYBOARD MONITOR TURNING IT OOVER SLIGHTLY WHEN IS ON I CAN SEE HARMONY,DUAL,SPLIT AND TOUCH BUT UNABLE TO INSERT THEM,ANYONE WITH AN IDEA? HELP PLEASE! hit song and pick one (i pick the duet scarborough, like 62 or something), then hit "waiting" from the learning keys on the left. hold down "right" and "left" so that both hands are part of it. after a few seconds, i hit "listen and learn", i play along for a few riffs, then i hit "pause"
from here i can hit "voice" it will then keep the piano sound on the left, and any voice i pick on the right hand. i know, very tricky.. and it seems to easily get out of whack if you dont follow these steps .. like i said, it seems i found it more by accident. Thanks Guys, I appreciate your comments. I contacted Yamaha and with this keyboard I cannot layer my voices. I can split the voices at the split point and play one sound with the left hand and a different one with the right but I cannot play two sounds layered on top of each other. What I wanted was to play piano with strings on top for a richer, fuller sound. If I want to do that I have to get the next higher class of keyboard. So this keyboard is currently on Craig's list. I should have read more about the keyboard before I bought it. I got also this synth and unfortunately it's not possible, i was looking for it also but the split point is only used for the chord use.